This is Queen Lili'uokalani, the last Hawaiian monarch. Her story is a fascinating one. 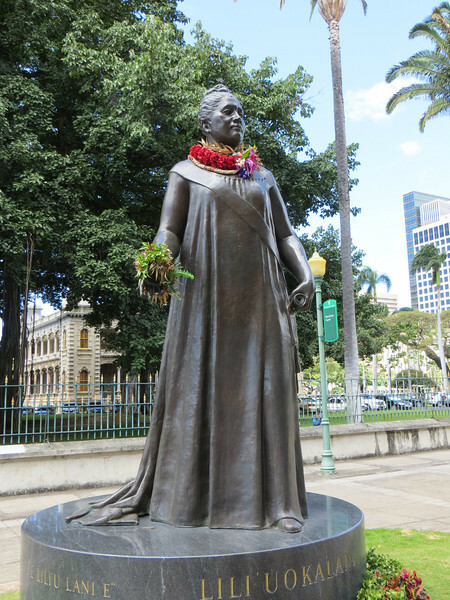 She succeeded her brother, David Kalakaua, who had been forced to accept a constitution that took most of the power away from the monarch. She was headstrong and determined to regain the power of the monarchy, but only succeeded in provoking a crisis. A group of powerful white sugar planters and businessmen got the U.S. to (illegally) help them, and deposed her.